If you listened or read enough of the pro-Washington hype leading up to Saturday’s CFP Semifinal game against Alabama, you might have begun to believe the Huskies had a chance. If you watched how easily Jake Browning marched Washington down the field on their second drive of the game, you would have thought the hype was right. Maybe the Huskies could beat the Crimson Tide. To be fair, the Huskies did give the Crimson Tide a good fight when the game started. When Jake Browning marched the team down the field for a touchdown on their second drive of the game, it appeared as if Alabama was in for a challenge. To win, Washington had to do certain things—and failed to do any of them. They needed to slow Alabama’s run game down and force Jalen Hurts to throw. 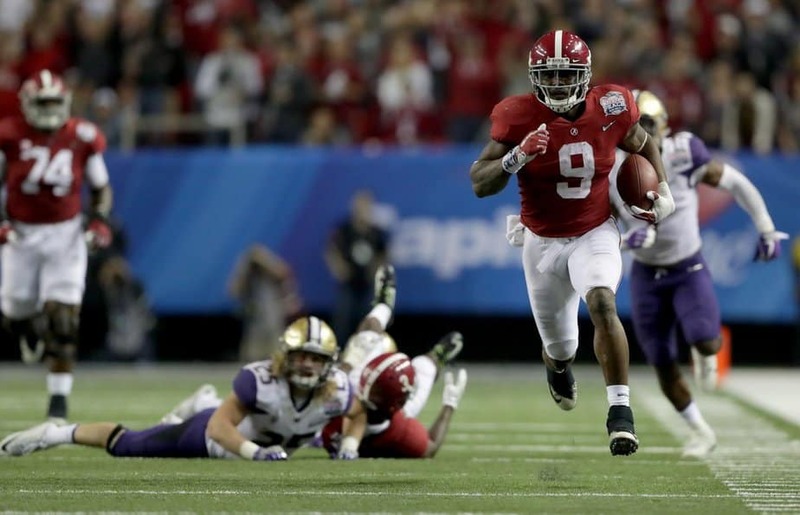 As a team, the Crimson Tide ran for 269 yards, of which Bo Scarbrough had 180 of to set a new school bowl record. Hurts only attempted 14 passes and completed seven for just 57 yards—but with the success they were having in the run game, they didn’t need to pass. Offensively, they needed to test Alabama’s secondary and throw deep. Other teams have had success throwing deep against the Crimson Tide, and the Huskies had the personnel to do it—but they didn’t have the blocking. Browning was sacked five times, hit several more, and was often on the run. He ended up completing 20 of 38 passes for just 150 yards, one touchdown, and two interceptions. One of his interceptions was returned for a touchdown (Alabama’s 15th touchdown scored on defense/special teams) before the end of the first half to give Alabama a 17-7 lead. Another turnover led to an earlier Alabama field goal. “They kind of are what we thought they were, a really, really elite championship defense with real good players across the board,” Washington coach Chris Peterson said after the game. Washington’s defense didn’t have a bad game. They sacked Hurts three times and had nine tackles for a loss. Not only did they limit Hurts in the passing game, but they held him to just 50 yards on the ground (19 carries). Alabama has so many weapons when it comes to the running game that the lack of production from Hurts didn’t matter. Clemson ended up dominating Ohio State in the Fiesta Bowl, so it looks like fans are going to get to enjoy a rematch of last year’s national championship.